Lisa Lombardo August 10, 2018 August 10, 2018 2 Comments on Zucchini Fritter Recipe – Super Easy! 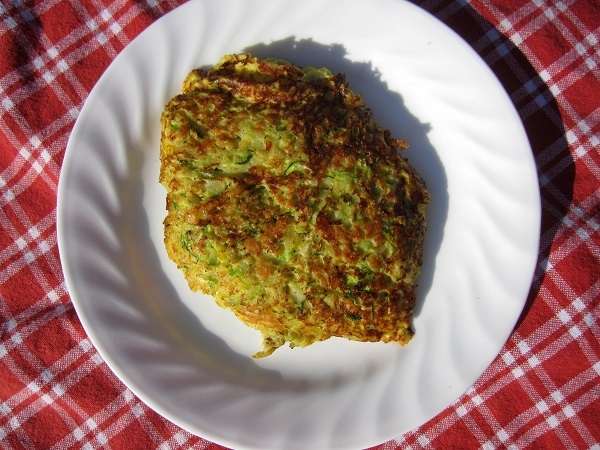 This zucchini fritter recipe is a great way to use up some of those plentiful squash in summer. This is super easy to multiply for a larger batch. 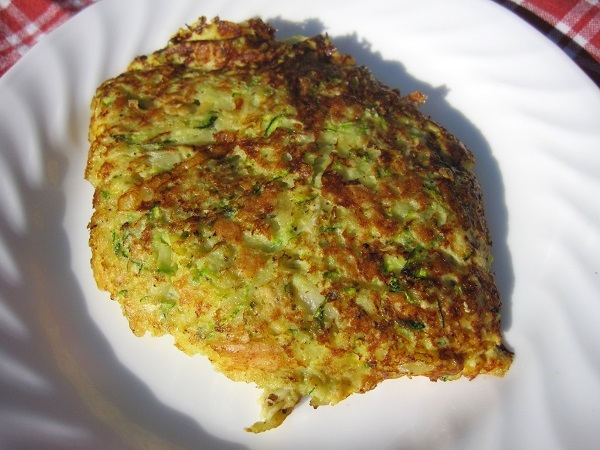 Each cup of zucchini makes 1 large or 2 small fritters to serve one person. I usually grate up a medium to large zucchini, measure to see how many cups I have, and then adjust the recipe to use the entire squash. Combine shredded zucchini, onion, egg, bread crumbs and seasoning in a bowl. Spoon batter into hot, greased skillet and flatten slightly with back of spoon. Fry until golden, then flip. Brown on both sides and cooke until egg is set in center. Serve hot or cold. For a savory fritter, use a sprinkle of Italian seasoning, adobo seasoning, salt and pepper, or try chili powder for some heat. For a sweet fritter, use cinnamon or nutmeg. Chill cooked fritters in refrigerator. Place in freezer bags or vacuum seal them. Mark with date and freeze. Thaw and use within 3 to 6 months. 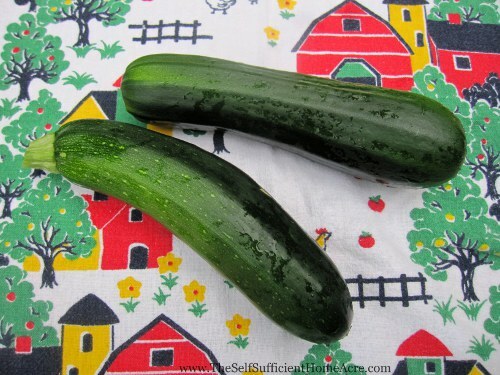 Read my review of Black Beauty Zucchini from Mary’s Heirloom Seeds. I planted 5 zucchini plants this spring even though 2 or 3 would have been plenty. Some years the squash vine borers do so much damage that I don’t get as many squash as I want. This year a woodchuck munched on the leaves and set the plants back a week or so. But they recovered and once again I am harvesting more zucchini than we need (or want). I’ve found ways to use the extras…stir fried, in place of noodles, in bread and muffins, even pancakes! This zucchini fritter recipe is another tasty way to eat your zucchini! Delicious recipe, and timing couldn’t be better as I’m getting a good batch early this year. Thanks. Very happy to share, Eric! I’ve tried this recipe now with bread crumbs, corn meal, and crushed up tortilla chips (trying to use up odds and ends around the kitchen)…I think I like the bread crumbs best. I also want to try some of the other recipes you shared…I just need 25 hours in a day to get it all done. LOL!